Hello I’m Cindy a Las Vegas Local Cook of 45yrs who started in my grandmas kitchen at age 5 making Crepes, then cooking in Italian Restaurants since the age of 11. A German/Italian foodie & Cook who specializes in All types of Cuisines, Catering, Custom Meal preparation for small to large groups including some Vegetarian & Some Vegan, lots of wholesome foods that taste great and are great for you. I’ve also lost 50lbs with out dieting. 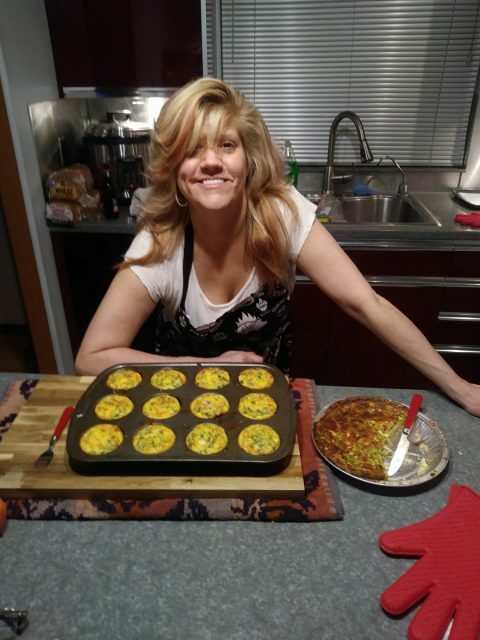 I’m a 420 Patient advocate & MS Patient who loves cooking to help others Ease their pain through the miracle of good food and THC Edibles!! I’ve been cooking for myself and others over the last few years to keep well its made me realize that all people don’t have access to wholesome n freshly made homemade foods, let me help improve your quality of life. . All types of food items can be prepared to suit your needs, I Specialize in custom made from Scratch items including a New Dry Whole Grain & Fruit Hot Porridge type Cereal so wonderful n Tasty. Please contact me for information on regular foods items, Specialty Custom creations of all kinds including Medicated Items Like Candies, Brownies, Toffee’s, Chocolates, Sauces, Syrups, Cookies, Cakes, Pies & More.